The true story of Germany's most famous anti-Nazi heroine is brought to life in this award-winning drama. Julia Jentsch stars as the young coed-turned-fearless activist. 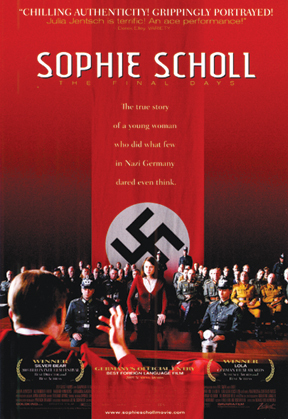 A member of the underground resistance movement known as the White Rose, Sophie is captured during a dangerous mission to distribute pamphlets on campus with her brother Hans. Unwavering in her convictions and loyalty to the White Rose, her cross-examination by the Gestapo quickly escalates into a searing test of wills as she delivers a passionate call to freedom and personal responsibility that is both haunting and timeless.